Unfortunately, when folks are looking to add a pet to their family they oftentimes disregard the local shelters or animal rescue organizations because they feel the animals in these places are “less than perfect.” However, this simply isn’t true. 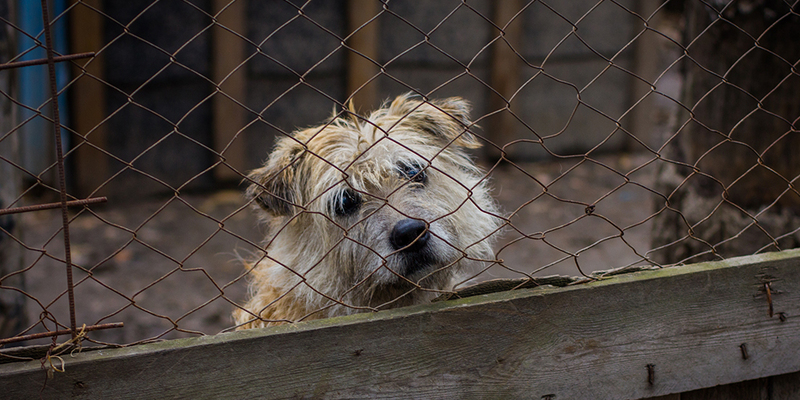 Here are the top five myths about animals in shelters that need to be debunked. This is a common response among people looking for a family pet; however, according to the ASPCA, the majority of pets are relinquished to shelters because the current or prospective place of residence will not allow animals. This neither makes the pet imperfect or showing signs of behavioral issues. It simply makes them victims of circumstance. Animals that enter the shelter system are checked for illness before they are placed for adoption and in fact, according to Pet MD, are 5 percent less likely to have an illness over those purchased through a pet store. Plus, many animals are spayed or neutered before leaving the shelter. This not only cuts down on unwanted litters but is also healthier for the animal and more cost effective for the pet parent. All one has to do is peruse any shelter or go online to view the animals up for adoption to see this statement is false. Purebreds find themselves homeless just like any other animal. According to Found Animals, 25 percent of pets in the shelter system have a pedigree behind them. In addition, there are rescue groups that specialize in specific breeds so be sure to check them out when looking for that perfect pet. This statement is not true. Animal shelters are there to protect, house and give aid to all sorts of animals. This can include ferrets, rats, gerbils, hamsters, rabbits, and even reptiles and birds. Before you “shop” for a small four-legged, feathered or scaly friend check out your local shelter, rescue group or even social media for someone looking to rehome. You never know where your next best friend may turn up. This statement is not only false, but rings more true for animals purchased through pet stores or breeders. Most animal shelters have online profiles where you can get the basics of the animal you are interested in. Furthermore, they encourage you to bring in the family to spend some time in a quiet area with your potential pal to further get to know them. In addition, some shelters even offer home visits or overnight visits for animals in their facilities. Ask your local shelter, fostering program or rescue group what their regulations are for getting to know the animal you are interested in. Remember, these caring folks want the animal/human relationship to work out, so they will most likely do their best to answer all your questions and to help ensure the pet’s new home is a loving, secure and permanent residence. At KirinGie.Me we have dedicated our lives to stopping the plight of abandoned animals. We want to educate pet parents by bringing you the latest news on important animal issues, and of course, sometimes we just want to have fun. Join us in the fight to end the plight of the tossed aside, the forgotten and the hopeless. Together we WILL make a difference. The voice of one may be silenced, but the voice of many creates change.